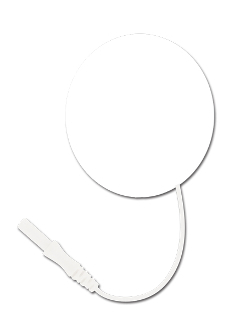 Our StimPad electrodes are made with medical-grade foam, conductive carbon film, pin wire connectors, and patented Multi-Stick® gel for optimum adhesion. They are low in profile, flexible and conformable to the skin and are good basic electrodes that perform well for all types of electrotherapy applications. Economically priced and available in a variety of sizes and shapes. Packaged in a clear tamper-proof poly ziplock bag. Made in Taiwan. Approximately 10-15 applications. Works with all makes/models of electrotherapy stimulators.